Because of their often undefinable nature, most field recording-based albums cannot be committed to memory. Still, the few artists who can really operate a studio to produce materials worthy of being positively absorbed act as invisible aids for the listener to retrieve – you guessed it – memories. 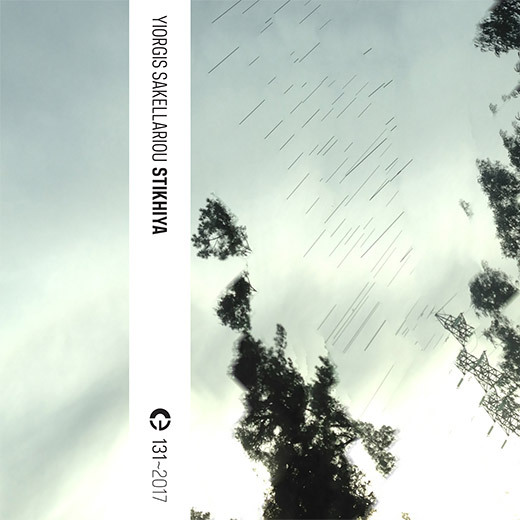 At this exact point stands the work of Yiorgis Sakellariou, a man whose depth of ear is proportional to his skillfulness in eliciting momentous transitions through acquired, processed and reconfigured sounds. After decades spent analyzing hundreds of releases supported by the intrinsic voices of our environment, the experience tells that Sakellariou is now one of the genre’s bosses. The main reason is the ability to coordinate the sources and synchronize the effects of sonorities ranging from crepuscular to sizzling, from hardly audible to thunderous. Even more notably, he manages to design rigorous compositions via a palette not implausibly varicolored (read: replete with bells and whistles). Both tracks here incorporate the kind of reminiscence-inducing hums and rumbles, industrial reiterations and inauspicious pulsations that, in a matter of minutes, pushed yours truly back to the times of juvenile pondering in a Tuscan country area whose silence was only broken by the murmured mantra of remote marble factories. It’s not a case of identicalness of situations, though; what I’m talking about is the power of summoning typical of certain acoustic assemblages. In this regard the Greek soundscaper is a master of the game, his maturity as sonic organizer increasing from a release to the next.